StumbleUpon has been a flash in the pan of the Internet. It exploded onto the scene and was the star in everyone’s eye for only a few short months, before fading away as the fad passed. It still exists, of course, and it has a not-insignificant pool of users pressing the little button every day. Used properly, it can be a huge traffic driver. Use poorly, it locks you out and may even remove your site from its database. StumbleUpon came about as a solution to the problem of never finding anything new on the Internet. The idea was simple; a huge database of websites categorized by interest, a button that pulls one of those sites, and a profile that you can use to set interests to pull specific sites. StumbleUpon set out to solve the problem of Internet boredom, but it instantly brought up the problem of stumble addiction; the inability to focus on any page without stumbling on to the next within minutes. Very few websites manage to capture the long-lasting attention of stumble users, but with the proper advice, you can become one of them. You can add a page to the Stumble database in one of three ways. While logged in, go to your profile. The drop-down arrow next to your username gives you a set of options. One option is “add a page” and allows you to add a URL when you click it. In your profile, go to the likes page. There will be a large gray button with the “add a page” text next to the search box. While using the toolbar, navigate to the URL you want to add and click the thumbs up. If the page is not already in the Stumble database, you will be prompted to add it. You cannot add a page by disliking it. You also have an unspoken limit on the number of pages you can add, particularly in a short amount of time. There are a number of restrictions on how and when you can add pages, as seen on the Stumble knowledge database. You cannot add any page that is blatantly promotion or that is selling a product. Specifically, StumbleUpon bans the addition of commercial pages unless you are using their paid discovery feature. Attempting to elude Stumble’s restrictions, or attempting to slip a commercial page past their filters, can get your account frozen and your access permanently revoked. It is against the Stumble terms of service to offer an incentive in exchange for a site submission or thumbs up, including money, reciprocal likes or another reward. There is a cap to the number of pages you can add from a single domain. StumbleUpon does not specify what this cap is. However, this is a common occurrence among bloggers adding every post as they make it. You cannot add any site with a shortened URL, a .tk domain, a raw IP address or a domain that has been banned in the past. So, to answer the question; is it bad to submit every page on your site? The answer is a firm yes. Submitting every page on your site is liable to flood Stumble with your site too quickly. They will then flag your domain and/or your account as a spammer and will either ban your domain or revoke your account, if not both. Additionally, there are some pages you have no reason to add. Category pages are valueless. Shop pages are against their terms of service. Boring content doesn’t attract lasting users. 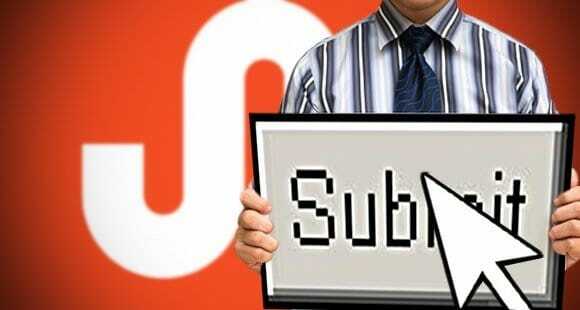 If, despite all the warnings, you still want to submit your site to StumbleUpon, you should at least do it right. First of all, you need an account older than 24 hours to submit sites at all. This is to prevent spammers from registering new accounts just to spam a site. You should ideally spend some time using the service before you start submitting. This is reinforced by the fact that you can’t submit sites until you’ve racked up a certain number of stumbles. Once you have registered your account, you should choose interests. Choose a small handful of interests, particularly those related to your industry. Stumble will gradually adjust these as you rate content, and you can change them at any time. Create and upload a profile picture. You should probably avoid using a brand logo, and instead choose an actual human picture. This is to avoid being labeled a business spammer, with all the negative implications that go along with it. You should also fill out your bio. Unlike every other profile online, you should avoid linking in a promotional way. Just fill out your profile as a human being, not as a brand. Start stumbling. Rate content as you visit it. Follow stumblers, if you notice they have submitted content you liked. This helps encourage others to follow you as well. Meanwhile, on your website, you should be creating excellent content. Start making a list of high quality content you want to submit, and prioritize it by value. Every few days – or even less often – you should submit one or two pages from your site. Never sit and submit page after page; it makes it incredibly obvious you’re a spammer. Never submit sites with clear promotional language. In fact, try to avoid calls to action in the content you submit. Encourage your users – with incentive, and primarily via newsletter – to use stumble. Encourage them to thumbs up and share your posts, but try to avoid getting them to do so all at once. This is where user segregation can come in handy. Get a few friends or outside agents to submit some pages for you, so it doesn’t look like you’re the one doing all the submission. The more you can obfuscate the fact that you’re submitting your site for promotional reasons, the better. Meanwhile, you can also investigate the paid discovery option. If you want to avoid the subtlety and push as much traffic as possible in a short time, paid discovery may be the way to go. It’s not free, but the most effective techniques typically aren’t. Although I have a non-commercial site and constantly update my blog with new and interesting material, StumbleUpon has decided to ban any submissions from my blog. 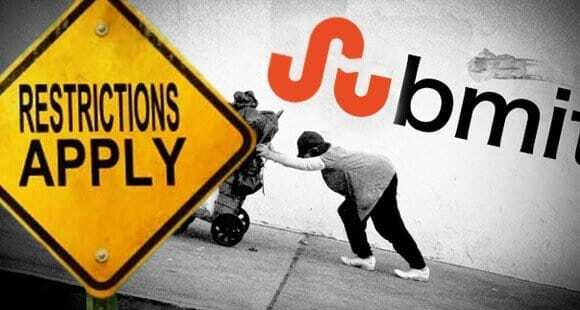 If StumbleUpon is becoming marginalized and irrelevant, it is because of such policies. Blogs are being systematically shut out of any public recognition in favor of larger commercial sites.